It happened again. I’m talking about another mass shooting. Except this time it happened in my city, at The Mall in Columbia, a mall that my family and I frequent regularly. Three people, Briana Benlolo, Tyler Johnson, and the gunman himself, Darion Marcus Aguilar, died. Five others were physically injured and many others traumatized. As far as my wife and I can tell from the news reports, the Howard County Police have done a great job with a very difficult and tragic situation. A word of appreciation is also in order to the many other Law Enforcement agencies as well as the Fire and EMS agencies for their response in securing the mall and helping the injured and the many other by standbys to safety. I’m angry not because of this tragic shooting but because violence like this is seemingly becoming a social trend, and epidemic. By epidemic, I am speaking of our perception of reality that is shaped for us through the prevalence of 24/7 news and social-media saturating society with information, creating a cultural epidemic of mass-shootings. Consequently, we live in a culture of violence that is brewing more violence. While we don’t know the particulars of the motive for the shooting the other day, we’ve seen enough of these shootings before to know that there’s a deeper underlying problem that has a grip on our society. In recent years we have all watched with sadness the news of mass shootings in places like Newtown, Connecticut… Aurora, Colorado… Fort Hood… Virginia Tech… And those are just some of the recent mass shootings I recall off the top of my head. But I’m also angry because every time there is a shooting we are told that we should grieve, which is the right thing to do, but then we try to figure out what went wrong and how we can prevent such a tragedy from happening again. This is where the conversation turns to the tiresome politics of gun-control, better security measures, and the violence in the entertainment industry. If only we had less guns, says the one side, while the other side argues that we need more guns. If only we have more metal detectors or more armed security, says someone else, while someone else says that problem is too many violent video games. If only… We think we know what the problem is and what we need to do in order to fix it. But the hubris of our enlightened minds has fooled us, leaving us to believe that politics will save us from this quagmire we find ourselves sinking further and further into. Yet what we have to show for it is nothing but an abyss of spiritual blindness that is increasingly expressed through fear, hostility, madness and violence. All the while, people continue to suffer, families mourn, and communities are gripped with horror that gives way to numbness… until it happens again and again and again. Yet we don’t want to consider that maybe the problem is a spiritual problem. Can we even do that? I believe we must, so hang with me for a little more. Hosea saw all the bloodshed that was so rampant that affected even the land and animals. Yet the problem was not the violence and other atrocious behaviors. The real problem was the fact that Israel had become unfaithful to God, no longer loving God nor acknowledging him. That’s a very different problem. It’s a spiritual problem and the only way Israel could hope to overcome her troubles was through faithfulness to God, loving God and acknowledging him (this is as much a moral/ethical position as it is confessional). It’s not that there is never a time to have political and social conversations about pragmatic steps that can reduce violence. But until we’re ready to let God be a part of the conversation, we are fooling ourselves and jeopardizing everyone else with our spiritual blindness. For only God can teach us how to love and live in community with each other. Until we are ready to do that, all of our political and social talk remains futile. * I’m paraphrasing the words of Paul Simon, “The Sound of Silence,” here but alluding to the words of the prophet Hosea cited above. This entry was posted in Contemporary Culture, Faith, Suffering and tagged #HoCoBlogs, #HoCoFaith. Bookmark the permalink. Amen. Kiss the Son lest you perish in the Way when His anger is kindled but a little. Eccl 8:10-13 Then I saw the wicked buried, who had come and gone from the place of holiness, and they were forgotten in the city where they had so done. This also is vanity. 11 Because the sentence against an evil work is not executed speedily, therefore the heart of the sons of men is fully set in them to do evil. 12 Though a sinner does evil a hundred times, and his days are prolonged, yet I surely know that it will be well with those who fear God, who fear before Him. 13 But it will not be well with the wicked; nor will he prolong his days, which are as a shadow, because he does not fear before God. Thanks for letting me know. I added a couple of tags to the post. 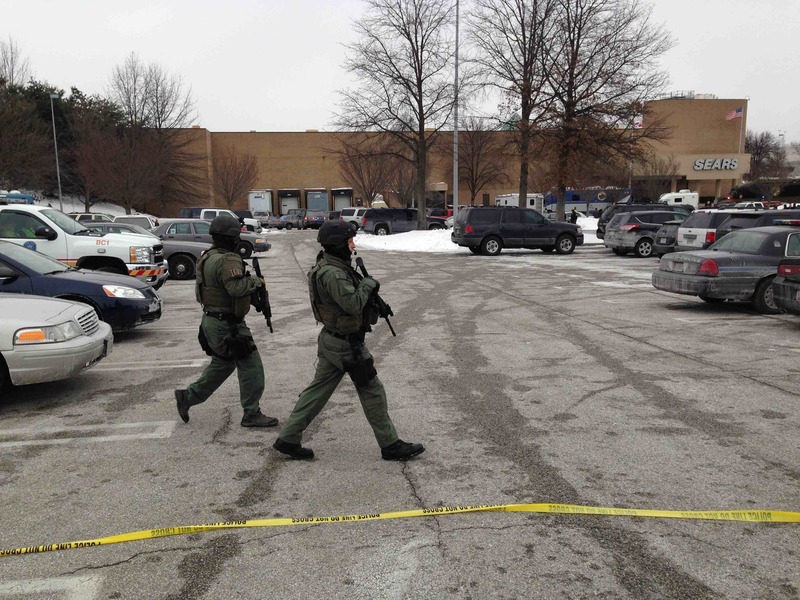 I wrote this post originally in January of 2014 after a shooting occurred at a local mall. While it’s too early to know the exact details of what motivated yesterday’s shooting in Oregon, these mass-shooting happen all to frequently. So I’m reposting this blog because while I believe that our society needs to have a conversation about guns, mental-health, and some of the other social factors that seem to play a role in these shootings, I also think we are missing the deeper issue. Thanks for reading!